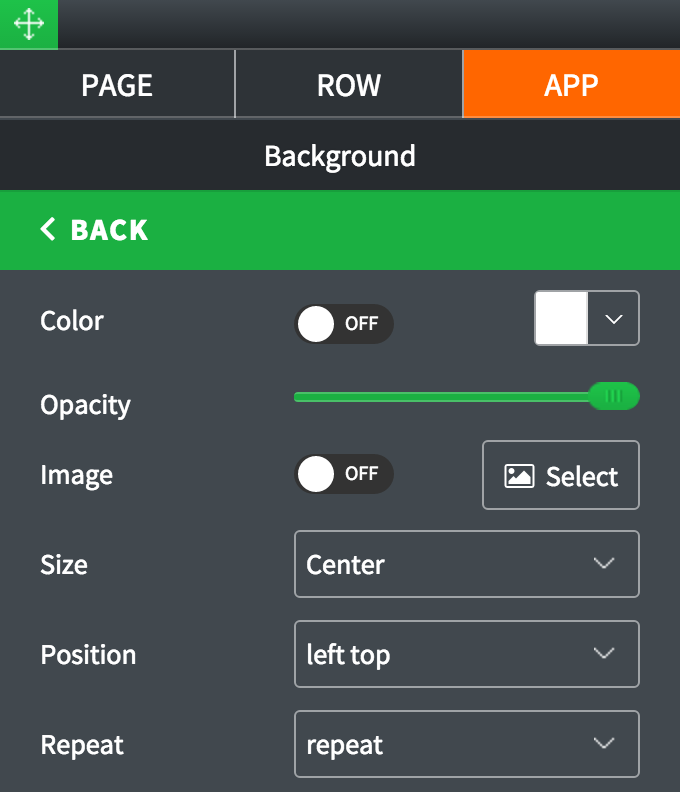 Go to MEDIA at the top of the screen. 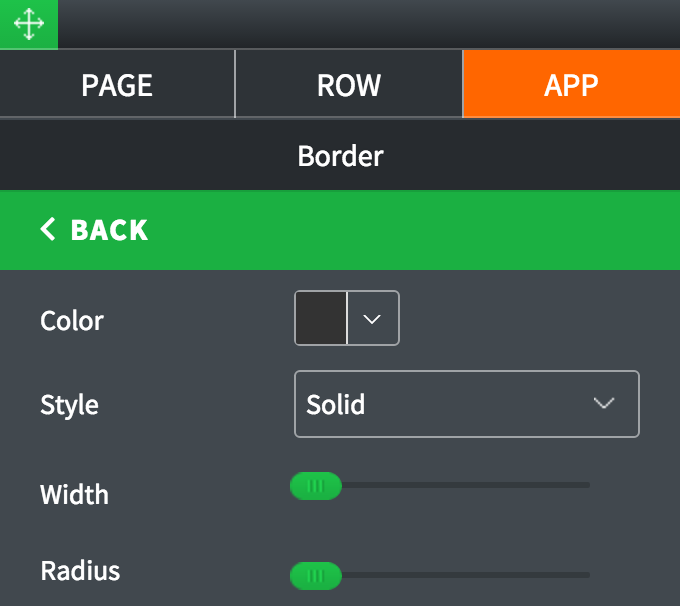 Drag Video Player widget to an area of the page where you'd like to add it to. 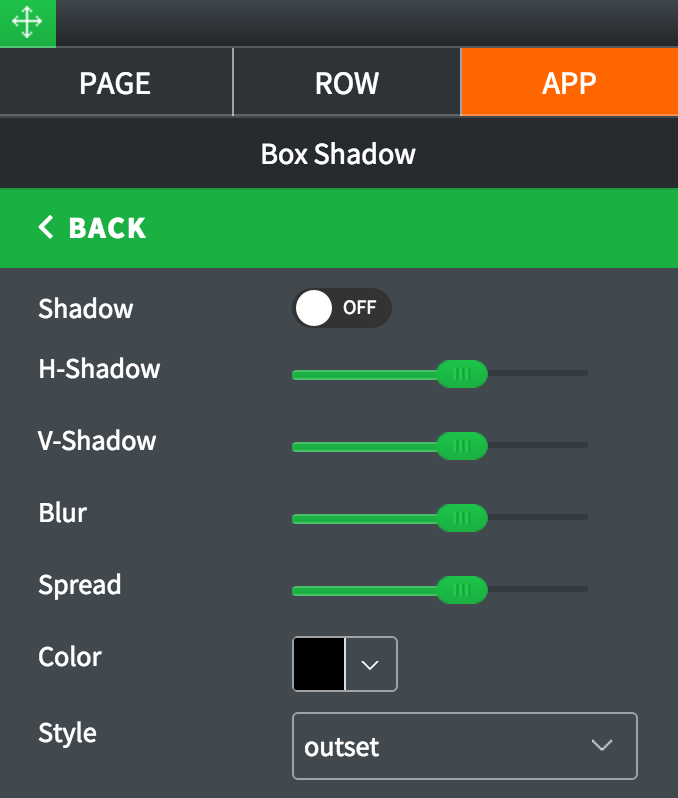 Double-click on Video Player or highlight it and go to Settings pane > APP. 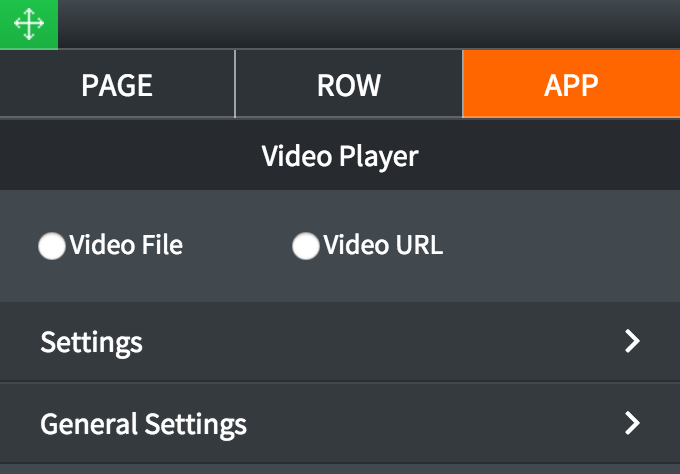 Video File: Select this option to upload a video file from your computer. Upload Video File: Click to select a previously uploaded video file, or to upload a new one. 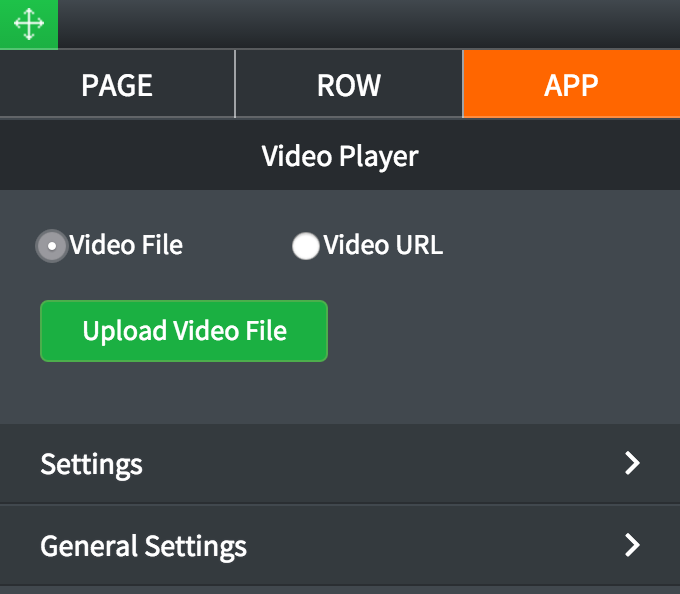 Upload: Click Upload button to select a video file form your computer. Or select a previously uploaded file. NOTE: A video file must be under 50MB in size and in .MP4 format. Video URL: Select this option to enter a YouTube or Vimeo URL. 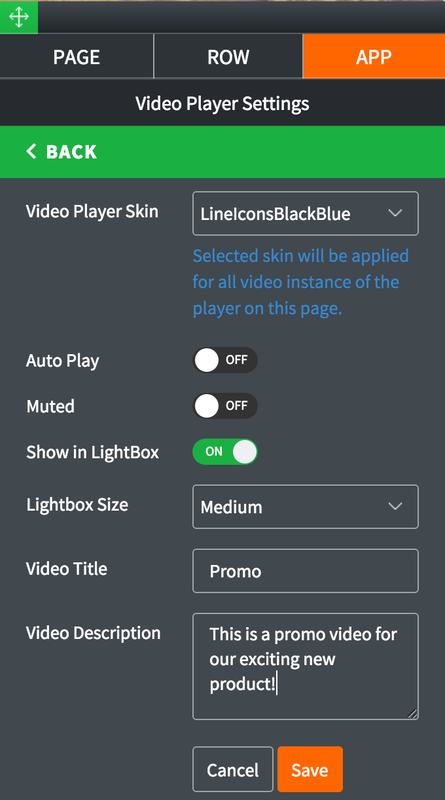 Video Player Skin: Select a video player skin from the dropdown menu. 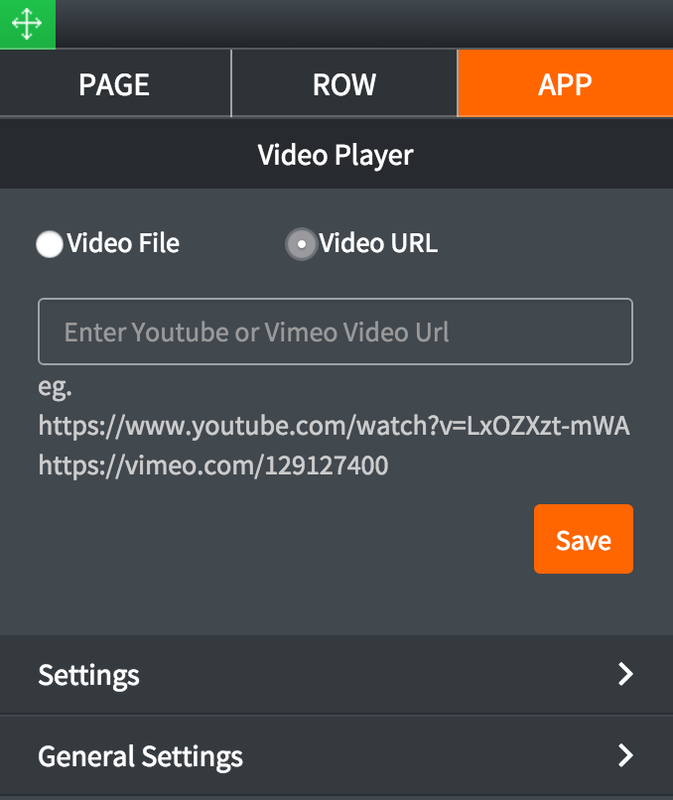 Auto Play: Toggle ON to play the video automatically. Muted: Toggle ON to mute the audio by default. Show in LightBox: Toggle ON to show the video in a lightbox (popup dialog). 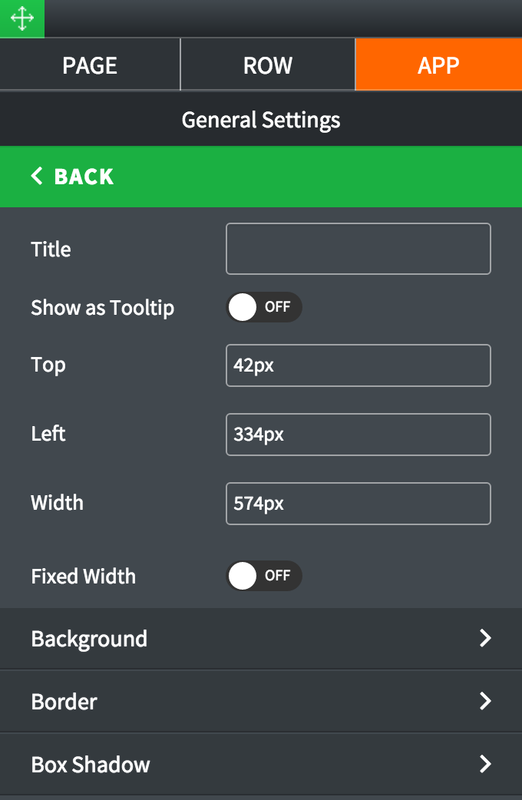 Lightbox Size: If Show in LightBox option is enabled, select lightbox size from the dropdown list. Video Title: Enter a title for the video. Video Description: Enter a description for the video. Show as Tooltip: Show the title as tooltip (text that appears when your mouse hovers over the video player).